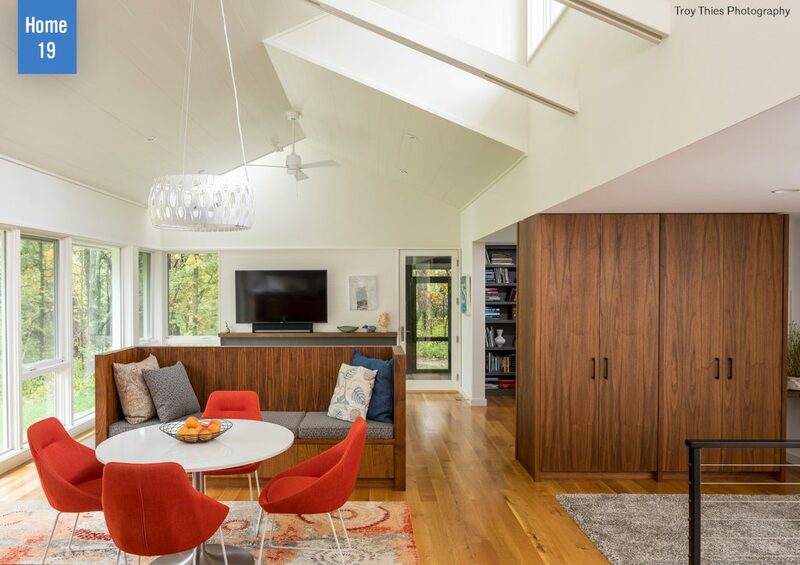 AIA Minnesota’s 11th annual Homes by Architects Tour is coming up at the end of summer to showcase impeccably-designed homes by local architecture firms. 19 homes spanning Princeton, Shorewood, Stillwater, and points in between will be open for tours September 15-16, 2018 from 10 a.m. to 5 p.m. both days. Visitors will see in-home bowling alleys, garage entertainment areas, modernism in action, and the best that the residential architecture industry has to offer. Many projects this year feature design geared towards aging in place and design that blends a home seamlessly into its surrounding environment and incorporates sustainable elements. Visit the Homes by Architects website to see the homes and learn what makes each project distinctive and inspiring. The tour is self-guided, so you can visit all 19, or just the few that most spark your curiosity. Architects for the homes will be on site to answer your questions and help you identify the design solutions that best suit your needs. While you can drive directly to most of the tour homes, there are a few accessible only by shuttle—watch the program for pickup locations. Tickets to the Homes by Architects Tour go on sale August 3. Learn more at homesbyarchitects.org. The 2018 Tour is supported by Marvin Windows & Doors, White Oaks Savanna, Elevation Homes, Streeter & Associates, Braden Construction, Brooke Voss Interior Design, Ferguson, Kolbe Gallery Twin Cities, Mercury Mosaics, Stinson Builders, Braaten Creative Woods, HabAdapt Landscape, Martha Dayton Design, Martha O’Hara Interiors, Muska Lighting, Norton Homes, Redpath Constable Interior Design, Showcase Renovations, Bunkers & Associates, Studio M Interiors, TS Building Supply, Garage Floor Coating of Minnesota, and media partner Greenspring Media.